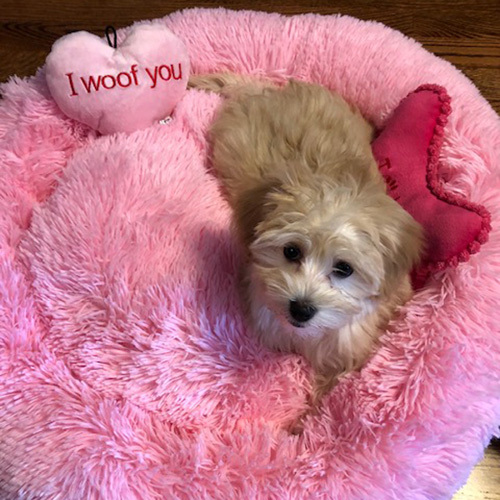 One week today my husband and I drove up to Michigan from Chicago, in anticipation of picking up our Penelope (Penny) Grossman… aka Blondie! 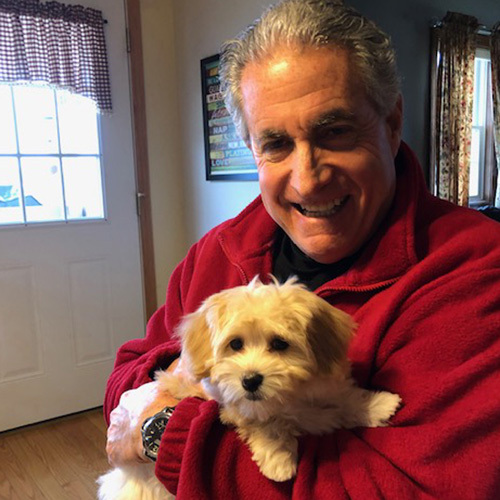 We have been blessed by the best Havanese Breeder ever! Your love for your puppies and your incredibly thorough vetting process, shows just that! We are BEYOND in love with Penny as she bunny jumps to us and gives us lots of kisses! I can’t believe she is our little girl after searching for just the “right” puppy all winter! Not only is Penny beautiful, sweet, playful and such a good girl, but also very smart!! The last couple of days she has gone to her puppy pad by the back door to do her business and she has been rewarded greatly for doing so! !The whole experience has been an answered prayer and although she is not the” Angel” we first inquired about, she is OUR ANGEL! Precious Princess Penny! Forever grateful to you and we will always stay in touch! Penny sends love and licks to you!